Powerful second chance at love story! 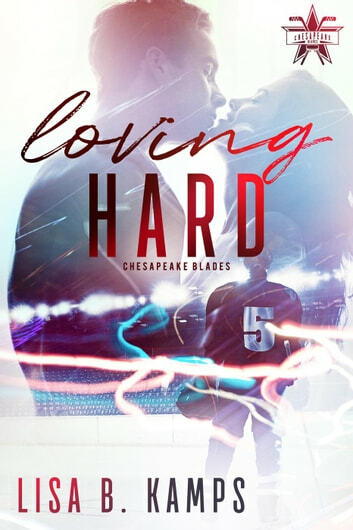 This is the second book in the Chesapeake Blades series. This book is very different from the first, as it concentrates more on the couple and less on the team. That’s not a bad thing, this book is terrific. There is still plenty of team interaction and dialog between Sammie and her friends and teammates Taylor and Shannon. They provide great support and hilarity throughout! I seriously can’t wait for Shannon’s book, she’s a nut! Sammie is a divorced single mom of an adorable 3-year-old daughter, Claire. She has a full-time job as a kindergarten teacher and also plays professional hockey. She lives with her parents after her husband divorced her while he was on deployment when Claire was a baby. He sent her divorce papers without any explanation as to what she did wrong. That’s what Sammie thought, it was something she did wrong. She was devastated. So when Jonathan Riegler returns to Baltimore and tries to talk with Sammie to explain why he handled things so badly between them, she wanted no part of it. Or did she? Jonathan had my heart from the beginning. I truly felt so bad for him and the mistakes he made all the while thinking he was doing what he thought was best at the time. I loved Sammie, Jonathan and Claire, they were very believable characters! There is so much I want to tell you, but I don’t want to give anything away because this is such a powerful story of forgiveness, not only of others, but of oneself, giving love a second chance, overcoming fears, learning to trust, and dealing with PTSD. This was such a great read! I can't wait for more of the Chesapeake Blades and the brave women that are paving the way for women's professional hockey! If you like second chance romance, then give this powerful love story a chance!